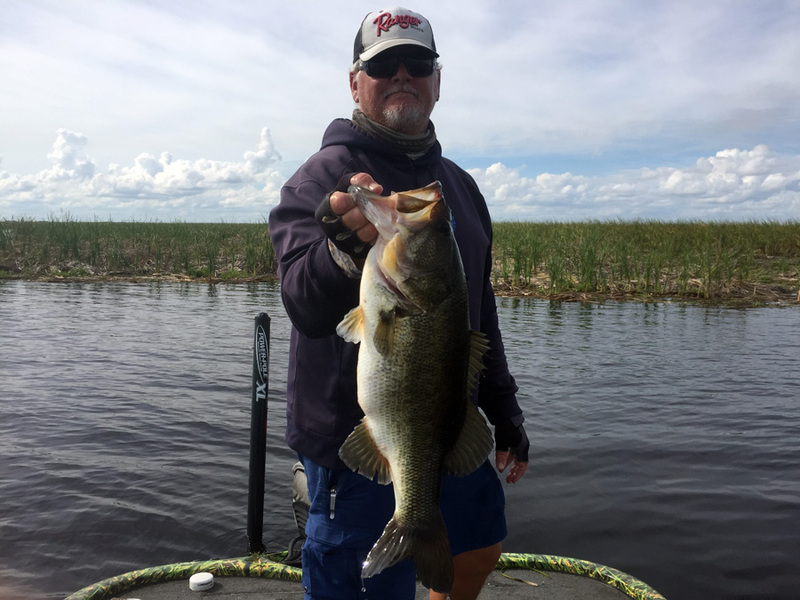 The last couple of weeks on Lake Okeechobee has been very good. The water level is now at 16.62ft. The winds have been from the North North/East anywhere from 5 to 15 mph. The water clarity is muddy around the lake but the west end is pretty good. The best bait now is shiners, I am going through 10 dozen in a 6 hour charter with great results. On the artificial side there is a RattleTrap bite and a Spinnerbait bite. There is also a Senko bite on the North Shore. 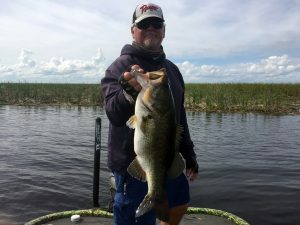 You can check the water level of Lake Okeechobee at www.okeechobeejust4bass.com. Here is a picture of me with the biggest fish this week.